Outside of the 31,000 acres of Acadia National Park on Mt. Desert Island are a handful of other, much smaller conservation lands that are worth some leisurely exploration. 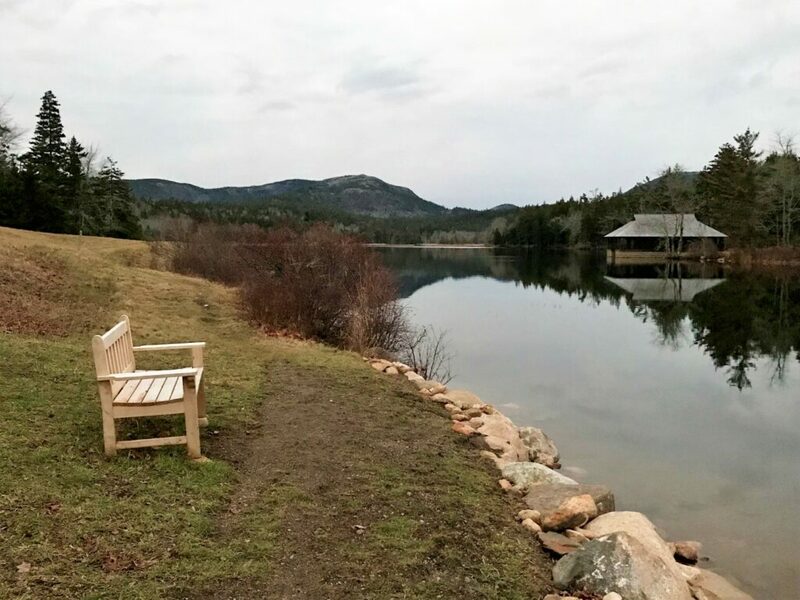 One of my favorites is the Land & Garden Preserve, which ranges from Northeast Harbor to Seal Harbor, on the other side of Somes Sound and just a 15-minute drive from my home. This hiker wholeheartedly concurs with Eliot’s assessment of the Little Long Pond vista, which looks north along the valley of Jordan Stream to the craggy upper reaches of Penobscot Mountain. The 2-mile circuit around the 38-acre expanse of pond has become my go-to hike when I want to get outside for a quick bit of exercise and some easily won scenic views. Carey Kish of Mt. Desert Island is the author of AMC’s Best Day Hikes Along the Maine Coast and author/editor of the AMC Maine Mountain Guide. Follow Carey’s adventures on Facebook @CareyKish.